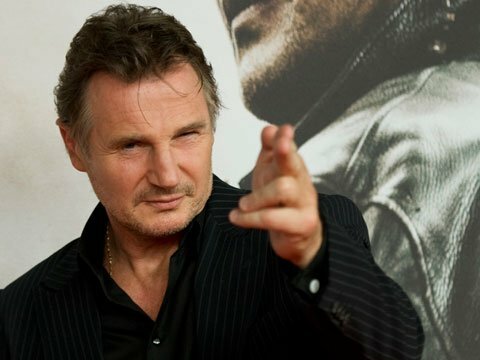 The latest artist to regain their muse from the idea of Liam Neeson punching things is Safe House director Daniel Espinosa. He intends on using the unique skillset that the towering Scotsman brings to all roles – that big frame, that deep voice, those fists that could so easily punch things – in the ridiculously-titled Gang Story. It’s a remake of a French film that was released in 2011 called Les Lyonnais, which concerned Edmond “Momon” Vidal, a bank robber who has given up his law breaking ways and lives on the straight and narrow, until an old buddy gets into a lot of trouble. It’s at this point that Momon introduces a whole host of people to “the twins”, the twins being his fists. The film is being written by David Scarpa, who previously worked on the script for The Day The Earth Stood Still, so he has no qualms about working with an expressionless monolith. Safe House was reasonably well received, so Gang Story could make Daniel Espinosa a household name. His next film is Child 44, starring Gary Oldman, Tom Hardy and Noomi Rapace, set in the Cold War and was previously set to be directed by Ridley Scott. He’s really making a name for himself, and if Child 44 and Gang Story are a success then perhaps he’ll be able to hire somebody to freshen up his titles a little bit. As far as Liam Neeson is concerned, Gang Story just represents something to punch before Taken 3, a film that is looking less and less likely with the tepid reviews that Taken 2 received, popularly viewed as a cynical, watered-down cash-in on the surprisingly brutal original. But why make Taken 3 when the obvious sequel is staring us all right in the face: Kinsey 2, a film in which Liam Neeson needs to do a very different kind of punching to get his message across.